When you see a favourite finishing sixth of 11 runners, your immediate reaction is one of bitter disappointment. But in Promise To Be True's case it would be very foolish to believe the bare form of her effort in the Leopardstown 1,000 Guineas Trial. She couldn't live with battle-hardened Hydrangea when it mattered, but Ryan Moore was sympathetic and she could still be a big player at Group 1 level later in the season. She was beaten only four lengths and my guess is she'll improve massively for the blowout. She could still be a star and Aidan O'Brien has the canny knack of getting his females to bloom at the latter stages of the summer. The advice is not to give up on the daughter of Galileo, who looks a big price at 33-1 for the Qipco 1,000 Guineas, for all that she might be better later in the campaign and possibly over ten furlongs. Orderofthegarter was not a name on anybody's lips at the start of the Flat campaign but he has developed a big reputation in a very short space of time following an 11-length maiden win at Naas and authoritative victory in the Leopardstown 2,000 Guineas Trial. Aidan O'Brien was quick to say a trip to Newmarket was not Plan A, stressing Churchill was his number one for the Qipco 2,000 Guineas, but the Irish equivalent is on his agenda, for which he is 5-1 with Paddy Power. That might not be a bad price. 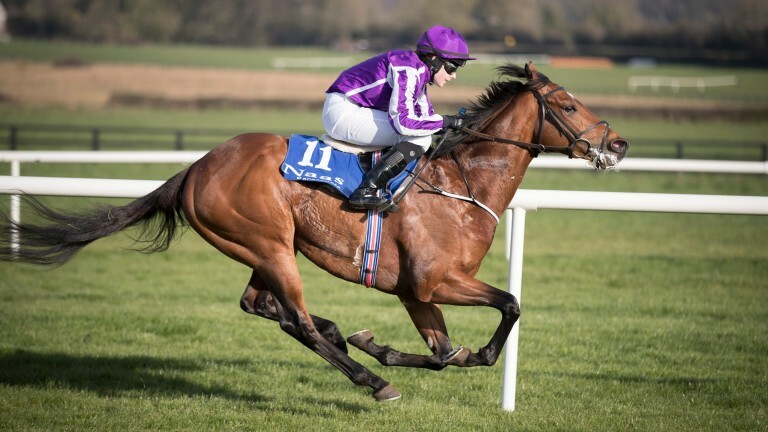 He managed to quicken off the home turn at Leopardstown, despite setting a searching gallop to that point, and the Curragh could really play to his strengths. Before the action unfolded at Naas on Sunday Aidan O'Brien had helped himself to six winners for the season, as well as five seconds and five thirds. It is fair to say he has started the campaign on the front foot, and that is probably down to ground conditions not being as bottomless as can sometimes be the case in spring. Yielding ground at Naas on Sunday was a welcome bonus for Flat trainers, and as long as the sun keeps shining you can almost guarantee that O'Brien will keep firing in the winners.